If you were to ask me what one Rockstar game I would like to play again/see a sequel to, I'd interrupt you before you even finished the question. The answer is Red Dead Redemption, and based on recent sales numbers for the game, I'm not the only that feels that way. Part of my wish will come true soon enough as the game will be added to the Xbox One Backwards Compatibility list this Friday, July 8. As with all previous Backwards Compatible titles, if you already own the title, you'll be able to download it to your Xbox One and play it once Friday rolls around. If you don't own it, then you can purchase it through the Xbox Store for just $10.49 ($7.49 if you're a Gold member). 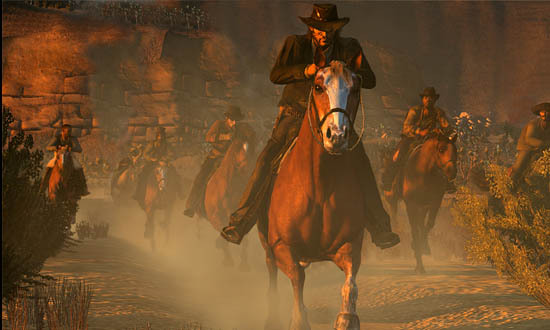 The game supports up to eight players online in the game's Free Roam mode, or up to four players in specific co-op missions. While the co-op side is a little lackluster at times, the game's single-player story is well worth the journey.